Despite being a potent mix of beloved author Neil Gaiman, Sherlock Holmes, and the mind-twisting world of H.P. Lovecraft, A Study in Emerald has somehow managed to largely escape adaptation since Gaiman first wrote it back in 2003. Dark Horse is finally going to be changing that next year. 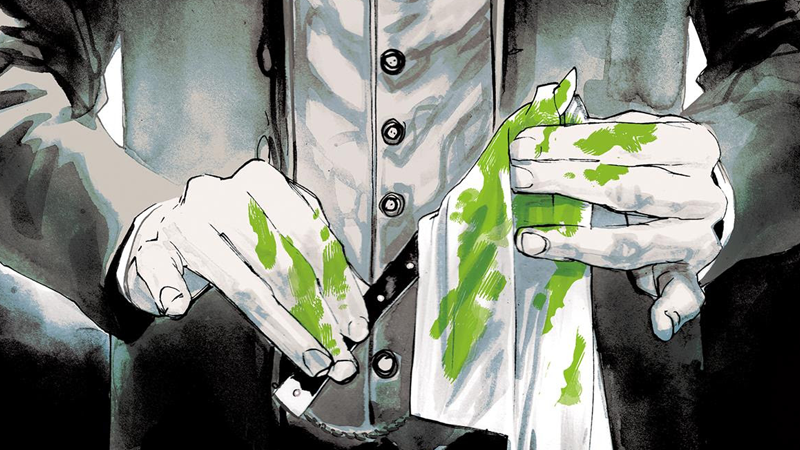 Announced by Dark Horse in advance of New York Comic Con later this week, the Study in Emerald graphic novel will be adapted from Gaiman’s short story by Rafael Scavone, with art from Rafael Albuquerque and Dave Stewart. The story, first published in the 2003 anthology Shadows Over Baker Street, stars a unnamed consulting detective (who just so happens to be extremely like Sherlock Holmes) investigating the grisly murder of a German noble, with links to a cosmic horror that’s haunting a fictional version of 19th century England. Outside of a reprint in Gaiman’s short story collection Fragile Things and a 2013 board game inspired by the setting, this is the first time A Study in Emerald has been brought to another medium—which, like I said, is crazy considering it’s a Sherlock Holmes/Cthulhu mashup by Neil Gaiman. A Study in Emerald is set to release June 20, 2018.